Accepted Scientific Name: Eriosyce subgibbosa subs. clavata (Söhrens ex K.Schum.) Katt. 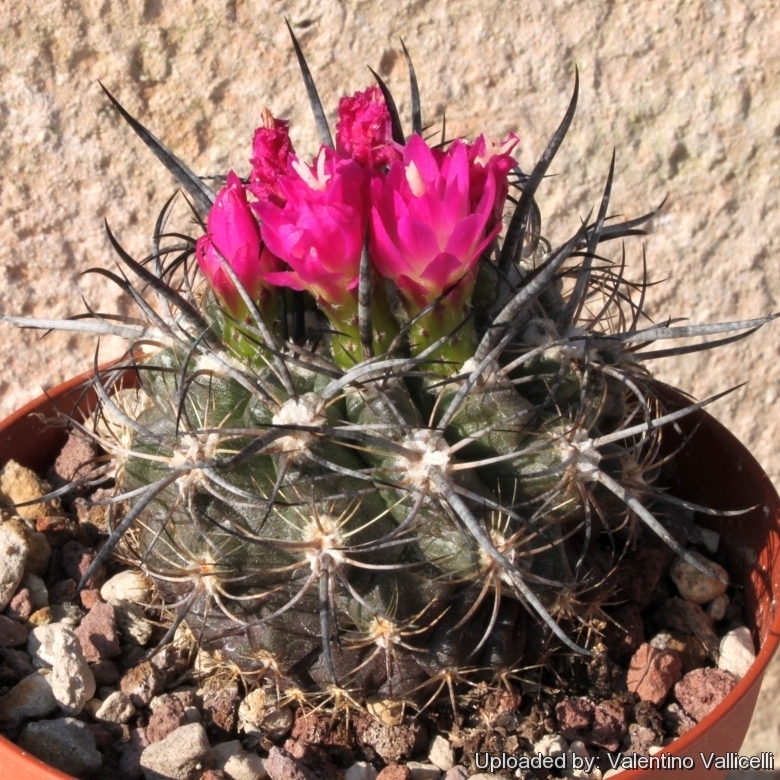 Habitat: Grows on rocky outcrop on costal terraces cliffs, slopes, often hanging from rocks, from areas with very arid Mediterranean climate to areas of transition between Mediterranean climate and humid forest. The species is common and abundant, and the population seems to be stable. The major threat is illegal collection and urbanization in tourism areas, but these are localized impacts. 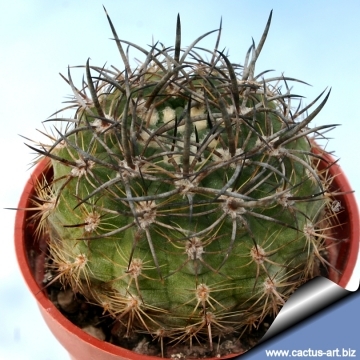 Description: The Eriosyce subgibbosa subs. 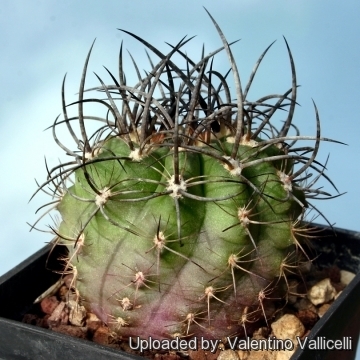 clavata, much better known under its old name Neoporteria clavata, is one of the recognized subspecies of Eriosyce subgibbosa which is a very variable plant that and has received numerous names. 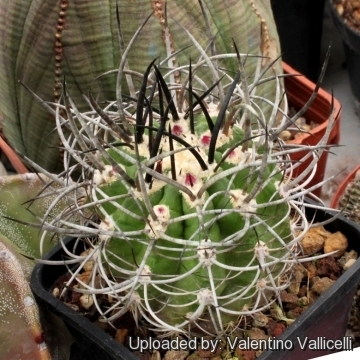 Eriosyce subgibbosa subs. clavata is one of the few Eriosyce that forms cylindrical stems. 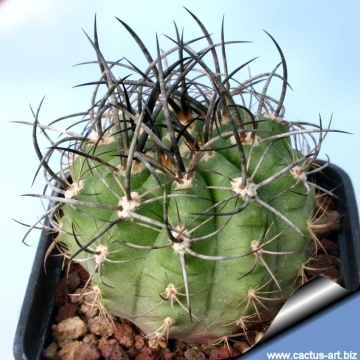 Spines: Nearly hiding the ribs, acicular, more or less long and dense, white, yellowish, golden yellow, brown, or nearly black, while older one became greyish. 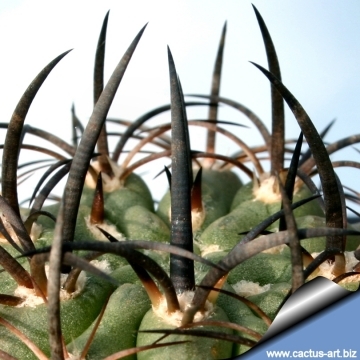 Central spines: 4 (or more) stronger, straight or recurved and spreading, often darker at the tips.. Flower: Pretty relatively small up to about 4 cm long, bi-coloured with magenta, rose to the violet petal tips and pinkish-white, white or yellowish-white throat, giving the sensation of being fluorescent and being very difficult to photograph in good conditions because that particularity. Fruits: Ovoid to cylindrical, partly hollow at maturity, only scarcely woolly, apical areoles not spinescent. 7) Faundez, L., Guerrero, P., Saldivia, P. & Walter, H.E. 2013. Eriosyce subgibbosa. In: IUCN 2013. "IUCN Red List of Threatened Species." Version 2013.2. <www.iucnredlist.org>. Downloaded on 16 January 2014.